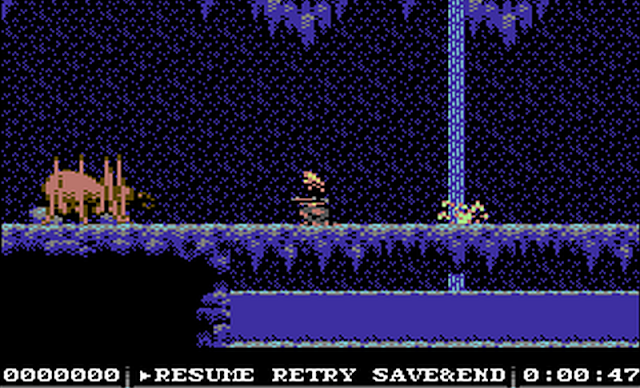 Indie Retro News: Hessian - Action Adventure from Covert Bitops for the C64 is almost here! Hessian - Action Adventure from Covert Bitops for the C64 is almost here! 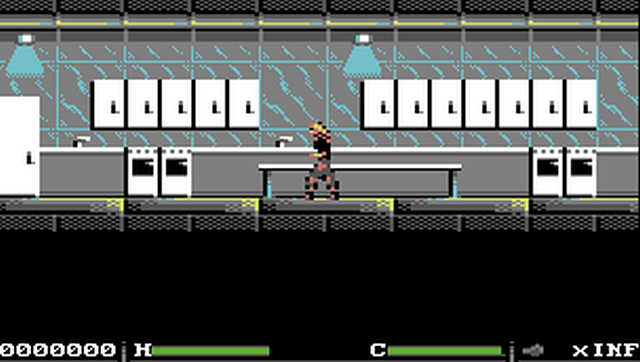 A game that has been in development for years, with a first preview announced by Genesis Project way back in 2012, is Covert Bitops action adventure game ' Hessian ' for the C64. Currently at a state of feature and content complete, with final testing still to be done. Hessian is a huge game with over 667 screens, 15 charsets, 15 level loads, over 30 enemies, specialized AI and 216 blocks free on disk. Although the story from the original preview has probably changed with many other noticeable differences from the 2012 version. You play the role of Kim, a security guard working the night shift at a Throne Group science complex. When the Group's inventions spiral out of control, she gets the unenviable part of becoming an augmented, misanthropic, heavily armed savoir. As the side-effect of a nanotechnical emergency surgery after a near-fatal trauma (which also grants her the possibility of additional "upgrades" for example to strength and mobility) she now depends on battery power! Doesn't it all sound so good and it's no wonder many people have been eagerly awaiting this game for some time. But if the above information didn't get you excited or you haven't heard of this game before, how about the fact that you can also attack enemies, collect items, interact with computer terminals (perhaps other such objects throughout the game), save your progress and listen to a seriously cool soundtrack.